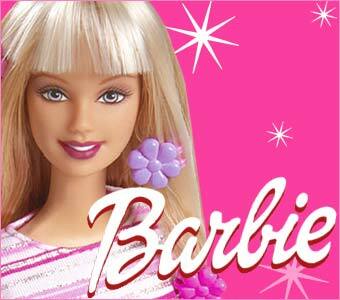 "I am not a Barbie doll." So she's no Barbie doll. All right, but why would she say that? Maybe because she has her own!! 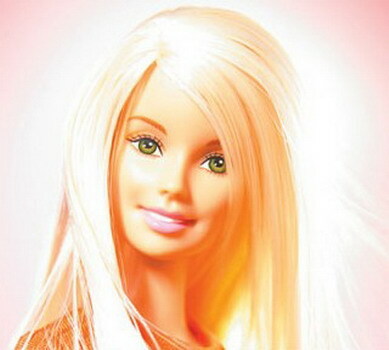 I thought of making this a "Best Of" Barbie Special, since I've shown SO MANY Barbie lookalikes in different galleries. But then I thought, Why do THAT when there are so many MORE examples out there, just WAITING to be shared?? Ah yes, it is true, as the poet Percy Shelley once said, that "Nothing wilts faster than laurels that have been rested upon." So here's a bunch of new pics and observations and complete info on each! :DD Enjoy!! And here with a model from Chanel Couture, Spring 2005. And here's another amazing pair--a timeless design! 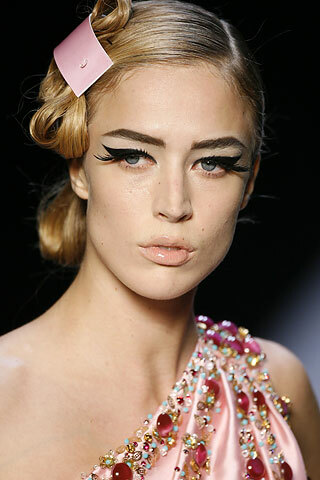 Barbie Bazaar, April 1999, and Brazilian model Raquel Zimmermann at Dior, Fall 2007 Ready-to-Wear. 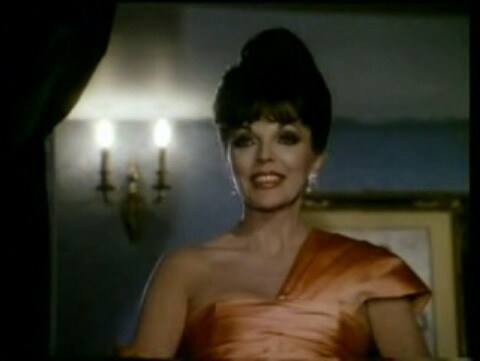 And here with American actress Joan Collins from Part 1 of the 1984 mini-series, "Sins." I don't love dolls. I love women." And here's the same dress, with some very different styling, worn by Romanian model Irina Lazareanu at the Dior Fall '07 Ready-to-Wear show. But the hand-on-the-waist remains a well-trusted pose, as always. 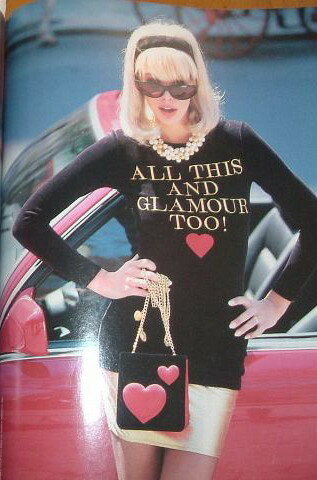 Check this out -- Looks like a Barbie doll juxtaposed with one of those Bratz dolls, at least to me. First is model Anna I. at Versace, Spring 2008, and then British model Lily Donaldson at Valentino, Spring 2008 Ready-to-Wear. First up, Argentine model Valeria Mazza. Lily Donaldson at Dolce & Gabbana, Spring 2005. And here's former Dallas Cowboys cheerleader Jesse Jane. Check this one out--she's lookin' up at her older sister, ha! (which I link to in the References below). 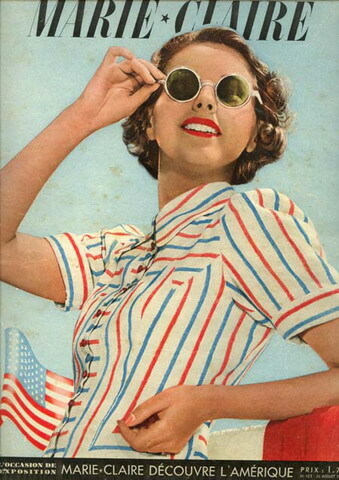 Well, hey, whatever--image controversy or not, there will always be waitresses, 'cuz drinking coffee is not always enough to wake some people up; they might also need to see something to, you know...stimulate them. I don't drink coffee, but I do require to have my attention stimulated like, oh, about 100% of the time. 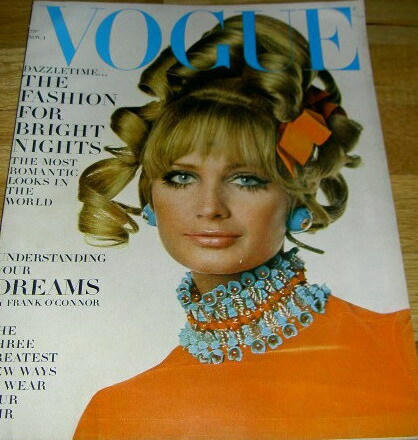 I suppose that's why I work on this website... Well anyway, here you see Waitress Barbie, and then the cover of Vogue, from November 1, 1967. 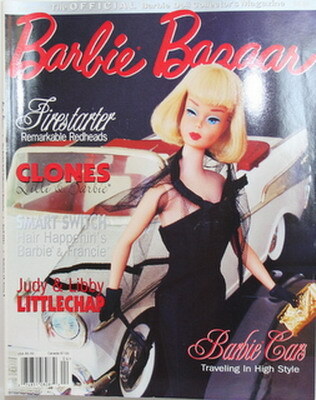 Marie Claire magazine (French), July 1939, then Dior RTW, Spring 2008, then Barbie Bazaar, July-August 1995. 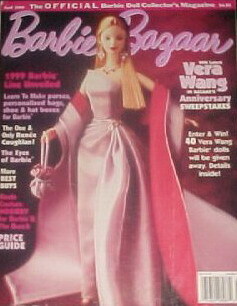 "Barbie Learns to Cook" Vintage Reproduction Doll (pun intended? I'll let you decide, but yes, that's what it's called), 1965 remake for 2007, and then Czech model Eva Herzigova from Top Model magazine (Spanish), February 1996. Now this one is just a no-brainer... Just look at the shoes! Are you kidding me?? 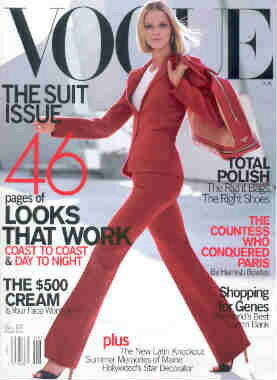 Some businessy Barbie, and then Estonian model Carmen Kass on the cover of Vogue, August 2000. Link: "Beauty is a form of Genius..."
>In the six years since then 125 million Bratz have sold worldwide, and it has become the top fashion doll in Britain. 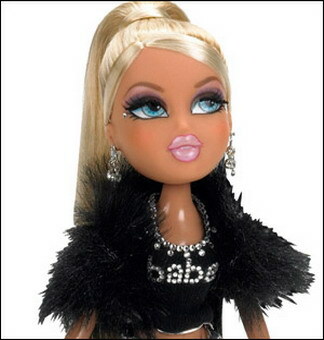 Global sales of Bratz products reached £1 billion in 2005; sales of Barbie remained higher, at £1.5 billion, but they declined by 12.8 per cent. >In December 2005, after five years in which American Barbie sales had either declined or stagnated for all but three quarters, Mattel replaced Matthew Bousquette, who had headed the Barbie line. >Whereas Scothon likes to talk about Barbie's 'aspirational' qualities - how she might inspire 'a girl to run for president and look good while she was doing it' - Larian prefers to talk about 'fashion and fantasy' and what's 'cute'. 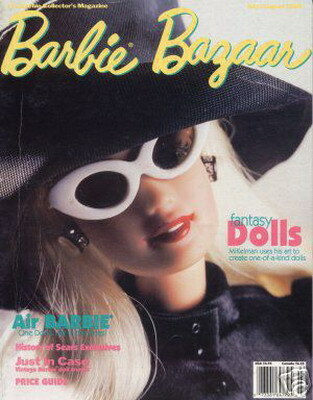 >With Bratz, MGA is selling the notion that divahood is something to which girls should aspire. >Ciara is the 'spunky' twin ('cuz I'm always causing trouble'); Diona is the 'sparkly' twin ('cuz I'm in love with my own reflection'). >Tiffany says she has noticed that the Bratz dolls do not elicit the kind of imaginative role-playing she had engaged in with Barbie as a child, but rather focus the girls' minds entirely on taking the dolls' clothes off and putting them back on. EACH one featuring some dude fallin' in love with a mannequin! (WHAAA???) Yeah! Warning: It is very hot and VERY steamy. Okay. Proceed. 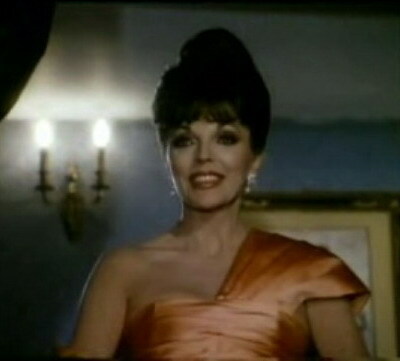 If you watch the little TV set starting at 1:07, you'll see, a montage of great beauties, including, let's see, Grace Kelly, then portraits by Amadeo Modigliani, Gustav Klimt, and Dante Gabriel Rossetti, and then that's Sophia Loren, and then a portrait by Lucas Cranach the Elder. I consider this to be the unacknowledged precursor to the many beautiful-women montage videos on YouTube. BUSTED!! XD Well...maybe?. Made for the hit movie "Mannequin," starring Kim Cattrall and Andrew McCarthy. And it...is...AWESOME!!!! 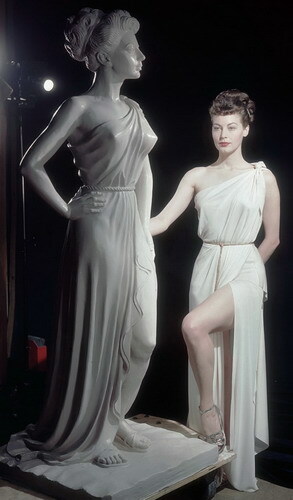 The movie was actually an "unacknowledged" remake (according to Wikipedia) of the 1948 film "One Touch of Venus," starring Ava Gardner. And that movie was a remake of a Broadway musical of the same name. And for a picture of her contemplating the original goddess of love--well, as far as WE know--see here.